J. Ralph Atkin is a former attorney who, with four others, acquired Southern Utah’s Dixie Airline’s airport lease and intrastate rights for a commuter airline they called SkyWest Airlines. The company had air charters, a flight school, aircraft maintenance, and air ambulance service. Atkin saw it meeting the needs of businessmen traveling between Salt Lake City and St. George. Later the airlines expanded with a flight into Las Vegas. The company also flew oil exploration crews in and out of Moab, Utah. Other ventures included cloud seeding operations and flights for the Federal Immigration and Naturalization Service, returning illegal immigrants back to the Mexican border. But like Dixie Airline, SkyWest found itself struggling to exist. Atkin’s nephew Jerry Atkin joined the company two years later in 1974, and helped build the company when attempts to sell it or give it away failed. Ralph Atkin graduated with an associate’s degree from Dixie State College, a bachelor’s from Brigham Young University, an MBA from Golden Gate University, and a law degree from the University of Utah. He returned to St. George and practiced law in a partnership. In 1970, he was elected Washington County attorney. One of his clients was a flight instructor, so in 1972, Atkin took flying lessons. He and four friends opened a company they initially called Inter-American Aviation in order to own a plane for fun. The name was changed to SkyWest when they decided to offer commercial flights. Atkin retired in 1991 as chairman of the board and CEO. He served as the Director of Economic Development for the State of Utah from 1990-92, and prior to that he served for nine years as chairman of the Utah Travel Council. He also served as a member of the Utah National Guard for twelve years and obtained the rank of first lieutenant. He served on the National Advisory Council (NAC) for the BYU Marriott School of Business from 2004 to 2011. 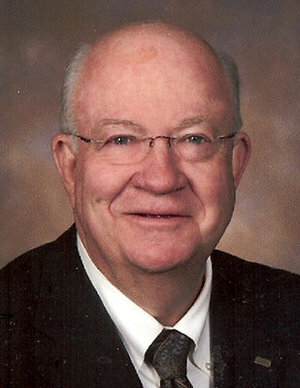 He is the recipient of the 2010 Chamber of Commerce Lifetime Achievement Award. He is a long-time supporter of Dixie College and is a current member of the Dixie State College NAC. He is also a long-time member of the Dixie State Athletic Alliance (formerly the Colonels Club). He was an adjunct business professor at Dixie State College for several years. Atkin is a member of The Church of Jesus Christ of Latter-day Saints. He and his wife, Cheri, are the parents of eight children. This page was last edited on 26 February 2015, at 21:51.